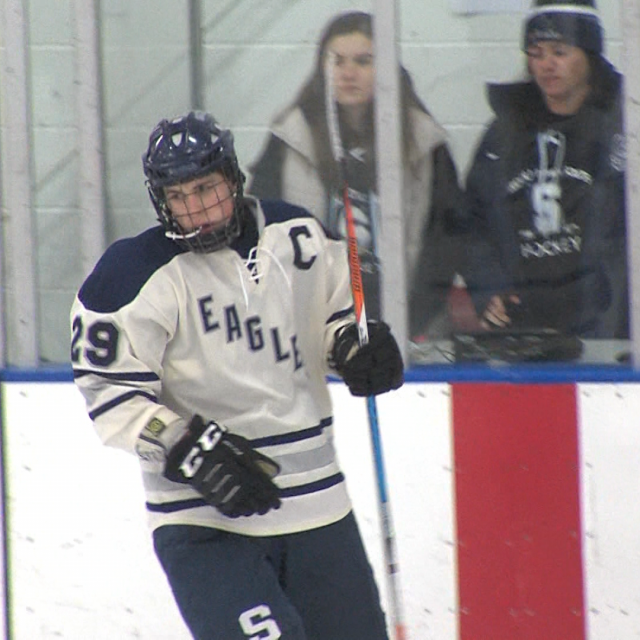 Check out statewide hockey highlights from 2.11 now! 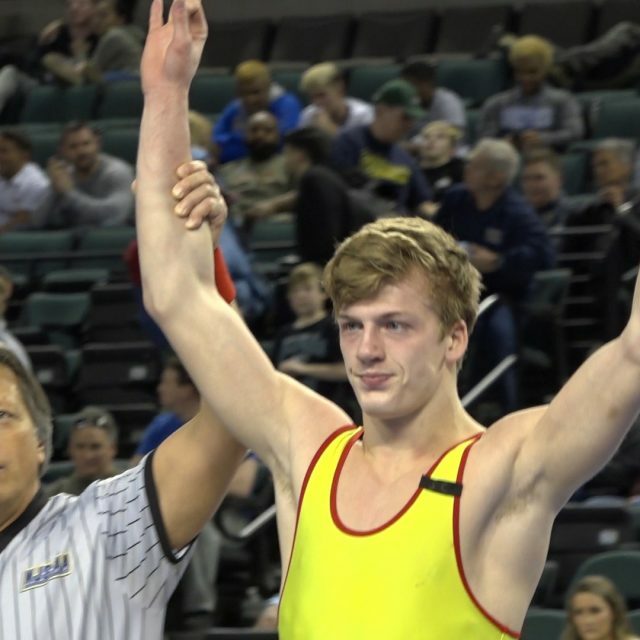 Jersey Sports Zone brought its cameras to every part of the state to capture the tremendous talent on Friday nights and Saturday afternoons in the fall. 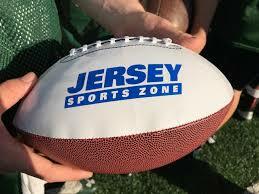 Here’s a look back at the ten most viewed games on Jersey Sports Zone during the 2017 high school football season #10: Westfield 20 Bridgewater-Raritan 7 – North 2 Group 5 Finals at MetLife Stadium The Blue Devils got a 47 yard TD run from Tim Alliegro to start the scoring and their defense produced two key turnovers including a 32 yard scoop and score by Adam McDaniel set up by a caused fumble from Jordan Barham to get a 37th straight win and a third straight victory over Bridgewater-Raritan in a sectional final. Jake Vall-Llobera had the other Blue Devils touchdown, while Anthony Goffe’s 13 yard TD run with :40 seconds left in the half made it a 14-7 game. But the Westfield defense did not yield any points after that. JSZ has the highlights and post-game reaction from MetLife Stadium: #9: Paulsboro 34 Penns Grove 24 – South Jersey Group 1 Finals at Rowan Dehron Holloway had three TD’s and three INT’s in a sensational performance in the final high school game of his career. SNJ Today’s Mike Frankel has highlights from Rowan: #8: Hillside 20 Point Pleasant Boro 13 – Central Jersey Group 2 Finals at Rutgers Nahree Biggins had two first-half touchdowns and an interception to help the #7 seed to a third straight upset win and a Central Jersey Group 2 championship. 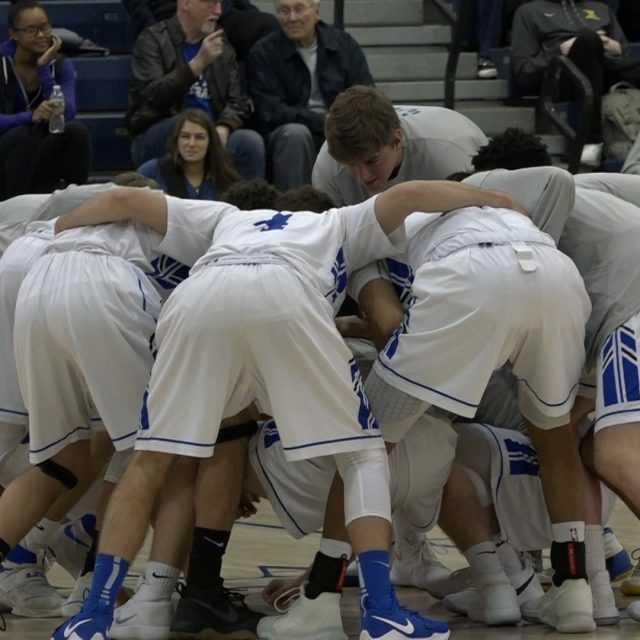 The Comets defense produced three turnovers and was able to stifle Point Boro’s tricky option attack. The Panthers scored two touchdowns in the 4th quarter. James Fara’s 7-yard TD with 42 seconds left made it a 20-13 game, but Point Boro could not come up with the onside kick. JSZ has highlights and post-game reaction from Rutgers: #7: South Brunswick 18 Manalapan 14 – Central Jersey Group 5 Finals at Rutgers Felix Quinones led a 92 yard drive capped off by a 17 yard TD pass to Jaylan Lawson with 53 seconds left and the Braves had a game winning TD catch by Naim Mayfield waved off due to pass interference in a wild finish to the Central Jersey Group 5 championship. Manalapan raced out to a 14-0 lead on a Mayfield 34 yard TD run and 60 yard punt return. The Vikings got a pair of Quinones TD passes in the second quarter to close the gap to 14-12. JSZ has all the highlights and post-game reaction from a thrilling finish: #6 Shabazz 35 Weequahic 0 -North 2 Group 1 Finals at Kean University QB Anthony Travis accounted for all five touchdowns as Shabazz wins the North 2 Group 1 state championship at Kean University. JSZ’s Bryan DeNovellis has a full breakdown of an impressive title win for the Bulldogs from Kean University: #5 Bergen Catholic 29 Don Bosco Prep 26 – Week 8 The one and only regular season game on JSZ’s Top 10 list from the 2017 football season. One of the country’s greatest rivalries was shown to America on ESPN. Alex Lorenzo brings you the thrilling highlights from a signature win during Bergen Catholic’s state championship season: #4: Long Branch 43 Freehold Boro 42 (OT) -= Central Jersey Group 4 Finals Pasa Fields grabbed a 6 yard score from Juwan Wilkins in OT and Eli Sherin caught a two point conversion to give the Green Wave a 43-42 overtime win over Freehold Boro in the Central Jersey Group 4 finals. The Green Wave overcame a 271 yard, 6 TD rushing performance from Ashante Worthy to avenge a loss in the regular season. Trailing 35-21 after three quarters, Juwan Wilkins had a 12 yard TD pass to Kahmar Mimes and a 1 yard TD run in the 4th quarter to force overtime. Watch all the highlights of an incredible battle at Rutgers: #3: Montclair 35 Union City 14 – North 1 Group 5 Finals at MetLife Danny Webb ran back the opening kickoff 92 yards to spark a Mounties scoring outburst and Tarrin Earle completed his fantastic high school career with 2 TD passes and an 11-yard TD run to give Montclair its first sectional championship since 2014. Earle finished the game 16 of 24 for 303 yards. Colin Callahan had 6 catches for 120 yards and a score in the first half. 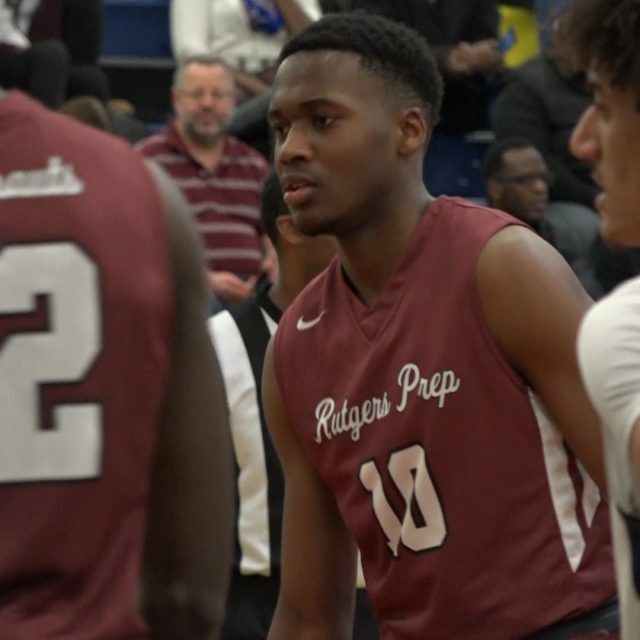 Montclair finished the year with a perfect 12-0 record with one of New Jersey’s most explosive offenses and a stout defense led by junior Division I prospect Willie Matthews. JSZ has the highlights of Montclair’s 12th win of the year from MetLife Stadium: #2: DePaul 7 Saint Joe-Montvale 3 – Non-Public Group 3 State Championship at Kean One of the top defensive efforts of the entire season comes from the DePaul Catholic defense as they stand their ground in a thrilling 7-3 win over Saint Joe’s-Montvale. 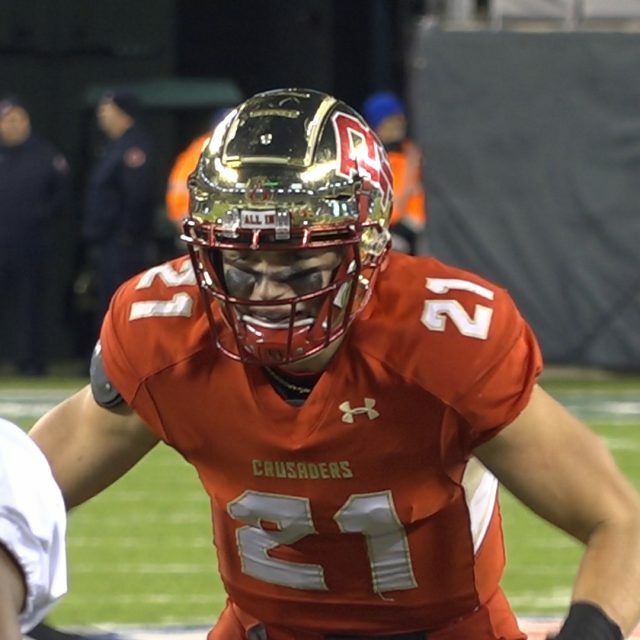 Alex Lorenzo was there for one of the biggest games of the season: #1: Bergen Catholic 44 Saint Peter’s Prep 7 – Non-Public Group 4 State Championship at MetLife Johnny Langan threw for 117 yards, ran for 91 and accounted for four touchdowns in a dominating performance. The Crusaders beat the Marauders 41-14 in the regular season and were able to stake a 31-0 halftime lead in the championship game. Javontae Jean-Baptiste set the tone on defense with three sacks. Langan led the offense with an 11 play, 70-yard drive to start capped off by the QB scoring from five yards out. A hook and lateral to Rahmir Johnson made it 14-0, followed by a field goal and Langan’s second TD run. Langan found tight end Tyler Devera in the back of the end zone with just 3 seconds left in the half to make it 31-0. Anthony Corbin had a 54-yard fake punt and Josh McKenzie added a fourth-quarter touchdown run to close out the scoring. The Crusaders finish the season with a 10-2 record, finishing unbeaten in New Jersey. Jersey Sports Zone has highlights and post-game reaction from MetLife Stadium: Ashante Worthy wins JSZ’s Zoneman Trophy Jersey Sports Zone closed out the football season with our first JSZ Football Banquet in Woodbridge. Freehold Boro quarterback Ashante Worthy won our Player of the Year honor, the Zoneman Trophy. Click HERE to see our full banquet coverage, including video highlights of our All-Zone team, Plays of the Year, and profiles of our Zoneman Trophy Finalists! 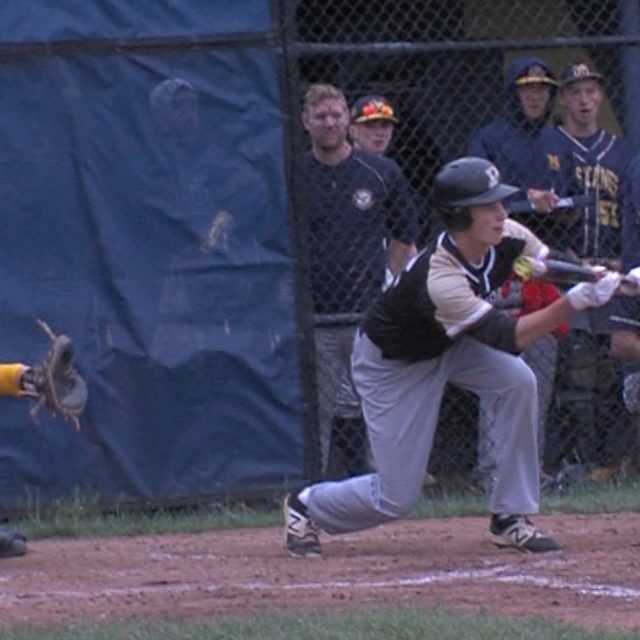 Point Pleasant Boro 7 Marlboro 1 – Shore Conference Tournament First Round The Panthers pounded out 8 hits and 7 runs in the fourth inning to advance to the SCT’s Round of 16. 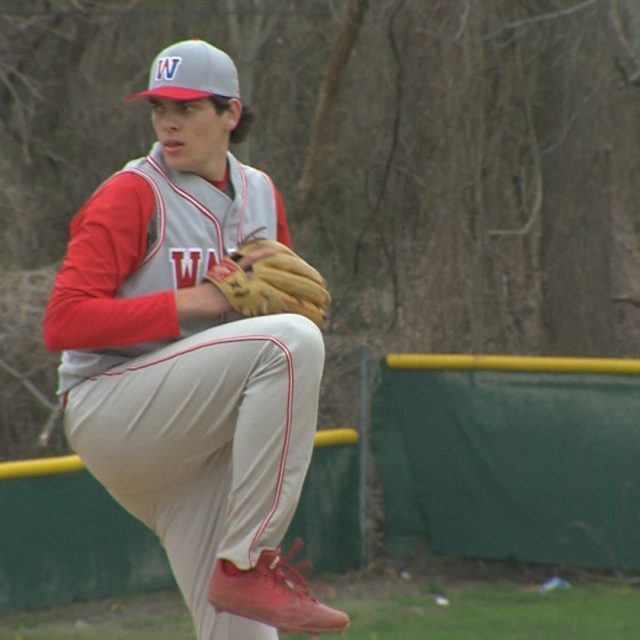 Nick Guzzi pitched three scoreless innings and Sam Collins pitched four innings giving up one run to pick up the win. 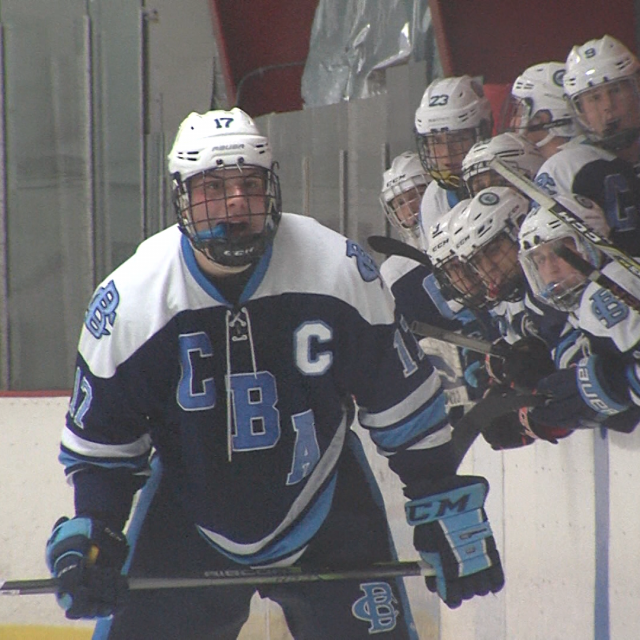 The #16 seed will face top seed CBA next week in the second round of the Shore Conference Tournament. 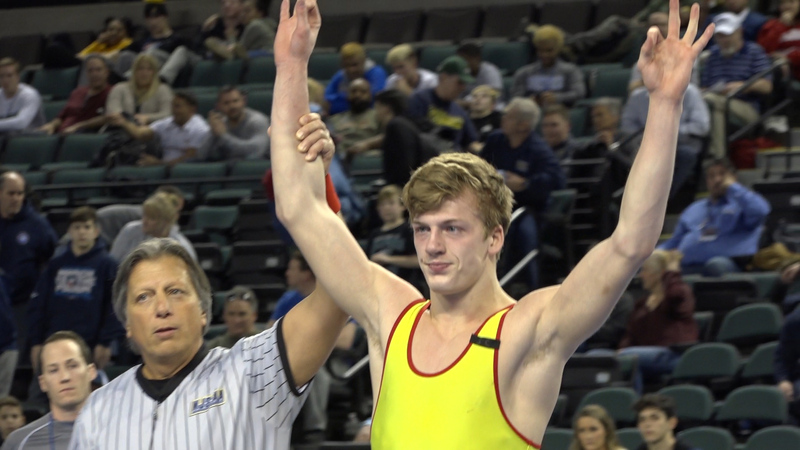 JSZ has the highlights from Marlboro High School: Jersey Sports Zone’s coverage of Marlboro is brought to you by Hit Training. Thanks to Tekart Builder/TwinBoro-AllShore and the Point Boro football parents club for sponsoring JSZ’s higlhights and features from Point Pleasant Boro Howell – 13 St. John Vianney – 0 Due to field conditions, 15th seeded Howell was forced to travel to Holmdel to take on 18th seeded St. John Vianney in the opening round of the Shore Conferene Tournament. The Rebels didn’t seem disturbed by the inconvenience, putting up a 7 run 1st inning led by home runs from Nick Ruszczyk and Brandon Matt. 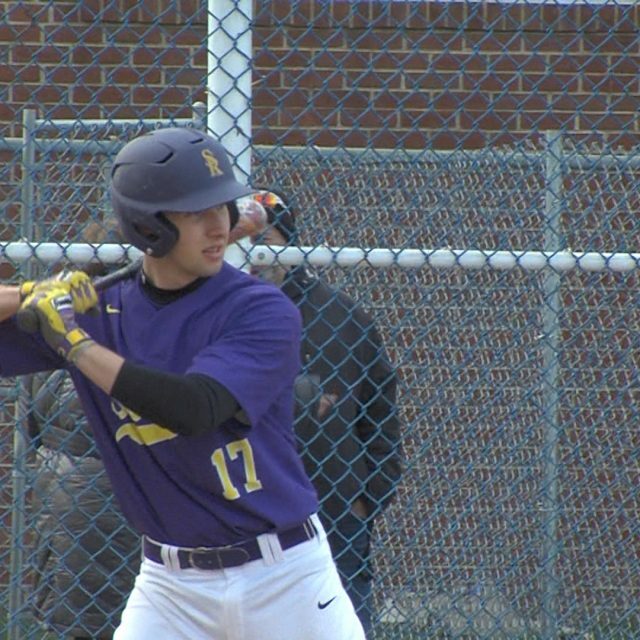 Mike Wynne pitched a 5 inning complete game strikeout with 8 K’s, as Howell got a 13-0 win on the road and adances to play Wall Township in the round of 16. Watch the highlights on JSZ! A special thanks to BCB Bayshore-Your Community Bank and Paver Restoration for sponsoring Saint John Vianney coverage on Jersey Sports Zone. 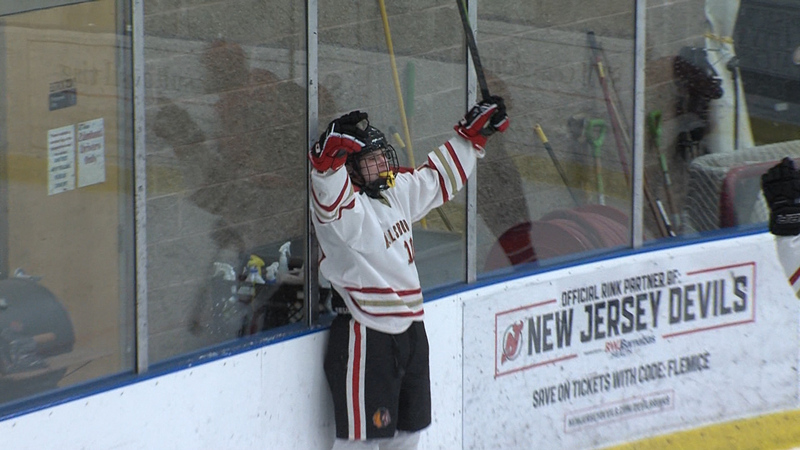 The New Jersey Devils provided a special night for the Garden State’s top hockey players. 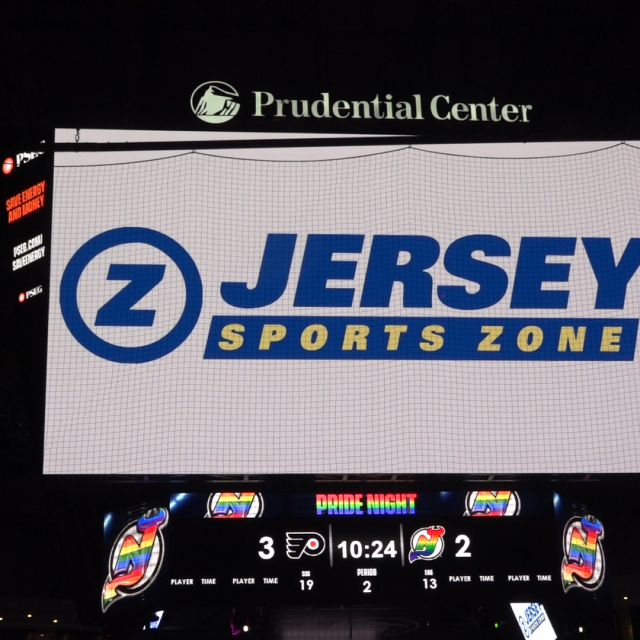 The first JSZ All-Zone Hockey banquet was hosted at the Prudential Center prior to the Devils 2-1 win over the Tampa Bay Lightning. 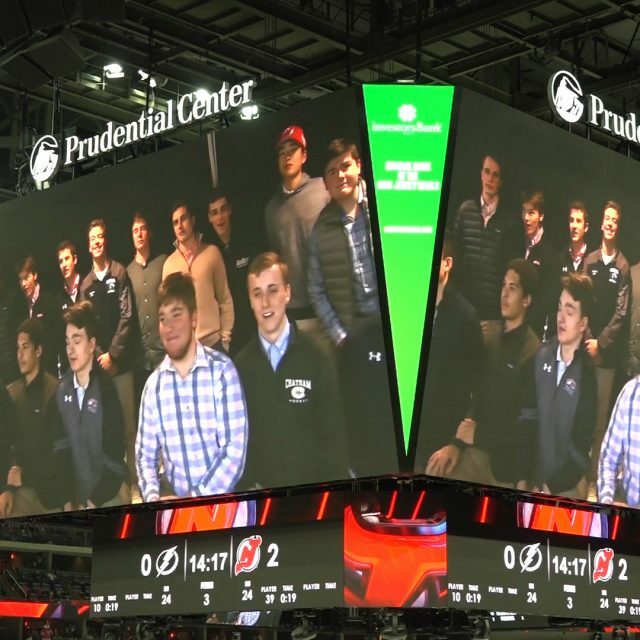 Following the presentation of our video highlights and Player of the Year profiles, the players, coaches and families watched the Devils game and our All-Zone team was honored during the second intermission on the world’s largest in-arena scoreboard. 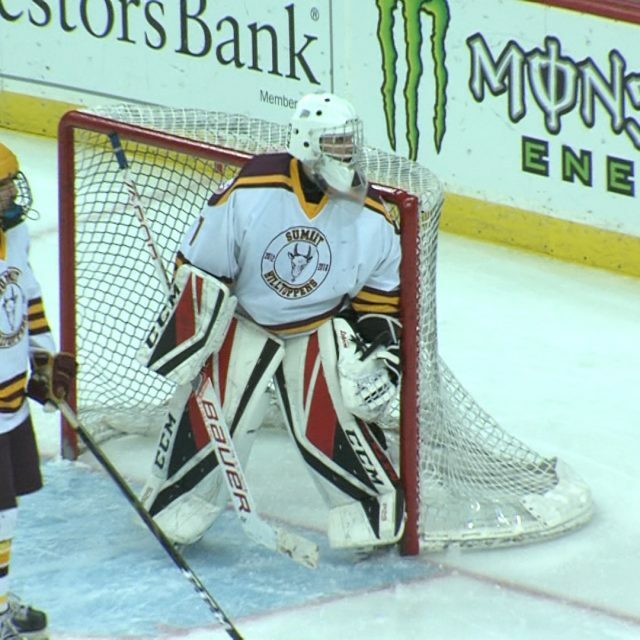 JSZ’s Jay Cook and Courtney DuPont recap a fantastic night at the Rock: Mickey Burns wins JSZ Hockey Player of the Year The Don Bosco Prep forward was the overwhelming choice among statewide hockey coaches and media. 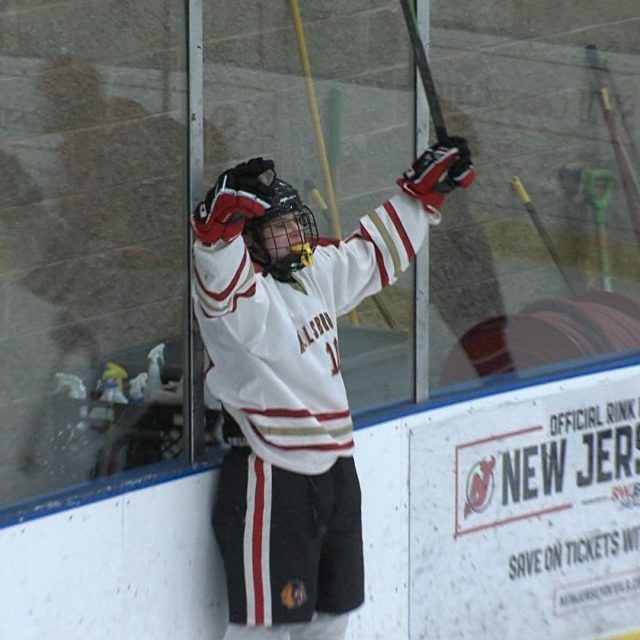 Burns had 28 goals and 49 assists for the Ironmen. 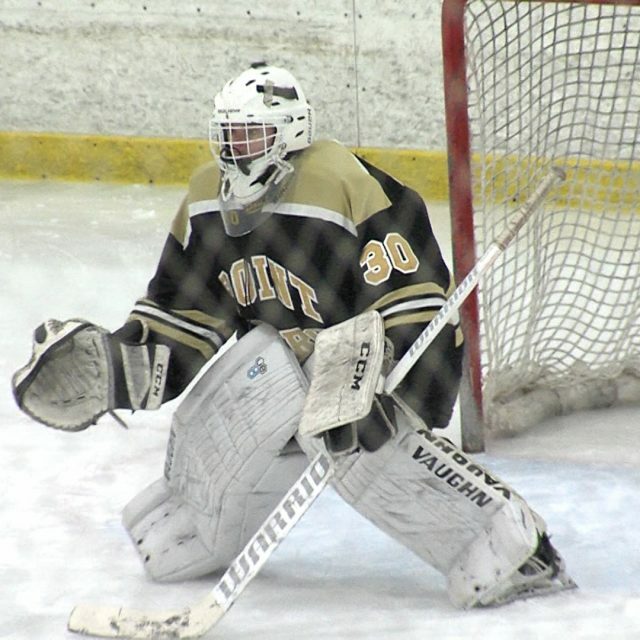 JSZ’s Courtney DuPont profiles the future Vermont Catamount Name High School 1st 2nd 3rd Total Mickey BurnsDon Bosco Prep141347 Nick SiffringerDelbarton33520 Matt SchoerPope John13413 Zach TarantinoWall13110 John GelattSaint John Vianney1218 Tom PryymakSummit0306 A special thanks to our voting panel! 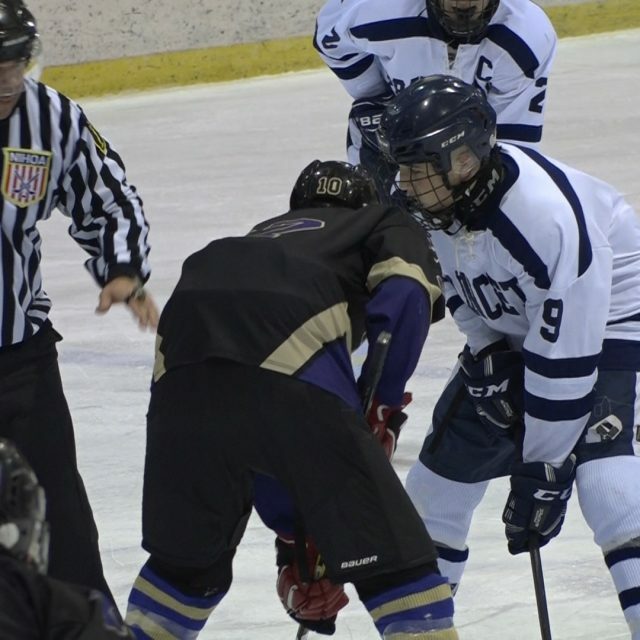 Coaches: Paramus Catholic, High Point, Pope John, Summit, Ridgewood, Woodbridge Twp, Verona, Don Bosco Prep, Delbarton, Middletown North, Wall, RBC, Saint John Vianney, Central Regional, CBA Media: Matt Stypulkoski NJ.com, Chris Rotolo Shore Hockey Report, Alex Lorenzo JSZ, Courtney DuPont JSZ, Rich Chrampanis JSZ Watch our features on 2nd and 3rd place finishers Nick Siffringer and Matt Schoer: Meet the 2018 JSZ All-Zone Hockey Team GoaliesDefensemanForwardsAward Winners Nick Burgess, DelbartonJohn Campomenosi, Don Bosco PrepStephen Buck, Seton Hall Prep Scott Kimiecik, DelbartonJohn Hallard, Middletown NorthDean DiFazio, CBA Ciaran McNelis, Red Bank CatholicJalen Kaplan, DelbartonTJ Evan, Woodbridge TownshipMickey Burns, Don Bosco Prep - JSZ Hockey Player of the Year Hunter Macy, DelbartonDrew Galea, Woodbridge TownshipMatt Schoer, Pope John - POY Finalist Thomas Shweigardt, Don Bosco PrepJohn Gelatt, Saint John VianneyNick Siffringer, Delbarton - POY Finalist John Gutt, Saint John Vianney Kyle Knight, St. Augustine Prep Alex Konovalov, Ridge Tsubasa Konishi, Don Bosco Prep Jin Lee, Northern Highlands Kyle Mandleur, Hun School Liam Noonan, CBA Tom Pryymak, Summit Scott Schnell, Hunterdon Central Tyler Sedlak, Don Bosco Prep Zach Tarantino, Wall Aidan Trainor, Princeton Will Vitton, Summit Thomas Winter, Chatham Will Zimmer, Randolph Top 5 Goals from February and JSZ’s Save of the Year JSZ’s Nery Rodriguez talked with some of our Plays of the Month honorees and was with them as they watched their goals play on the scoreboard at the Rock: Watch our winners and thanks to everyone who voted Save of the Year: Thomas Kampf, Central Regional #5: Scott Schnell, Hunterdon Central #4: Collin Andersen, Rumson-Fair Haven #3: John Callander, Point Pleasant Boro #2: Hunter Macy, Delbarton #1: Jin Lee, Northern Highlands A special thanks to Thomas Dreisbach and the staff at the New Jersey Devils for giving New Jersey high school hockey players a special experience at the Rock all season long! Vote for Monmouth Building Center Game Balls! 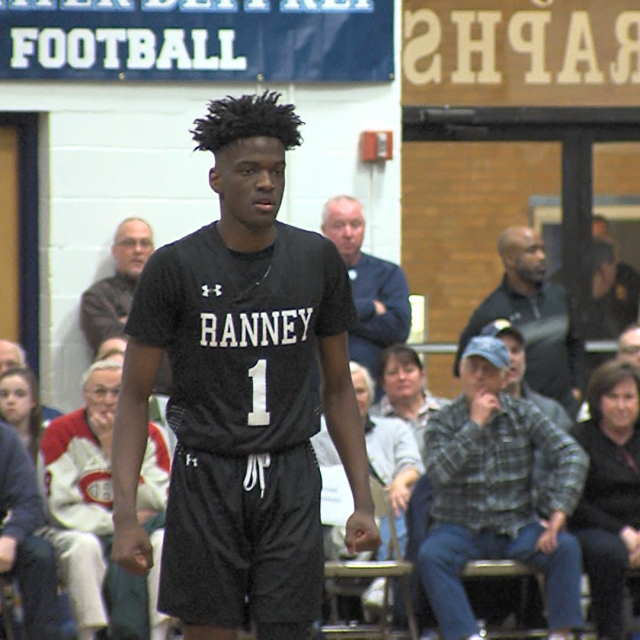 Each week during basketball season, we’ll have 10 nominees for boys and girls basketball top performers from around the Shore Conference. Cast your votes through Tuesday at 3:00 pm. The winners will get a visit from JSZ cameras with a Game Ball presentation. 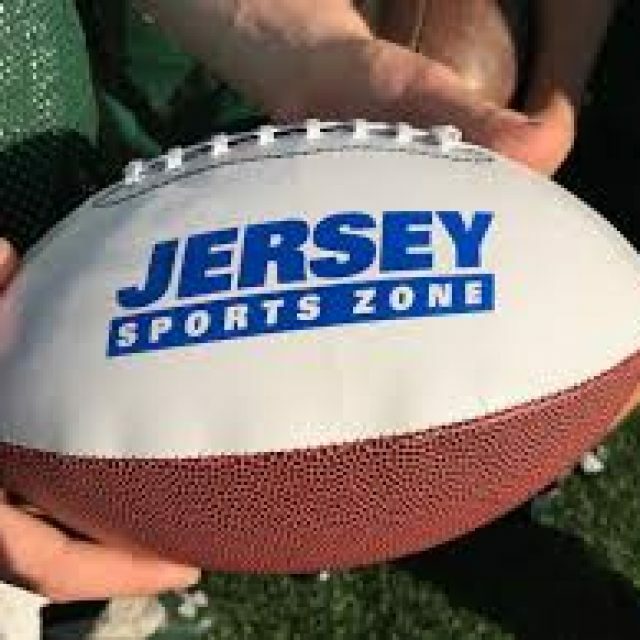 Coaches and fans if you have a Game Ball nominee, just email rich@jerseysportszone.com Take Our Poll Take Our Poll Last Week’s Monmouth Building Center Game Ball Winners Congratulations to Colts Neck’s Camryn Foltz and Barnegat’s Carson Francisco. Thanks to everyone who voted! 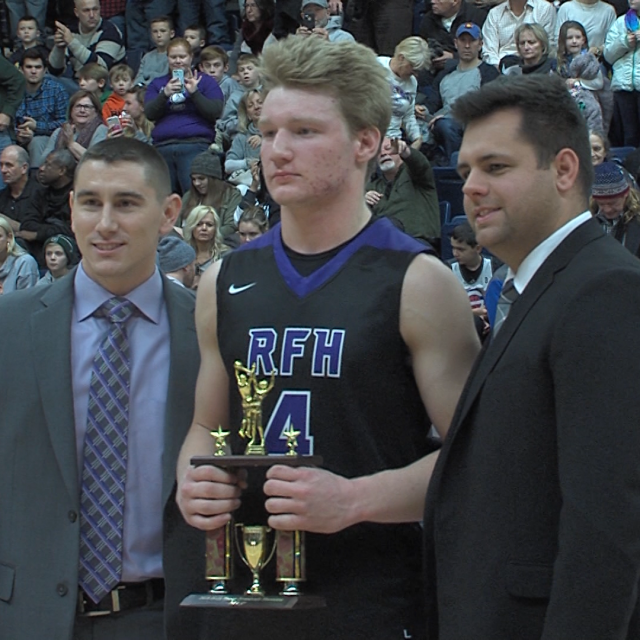 Monmouth Building Center in Shrewsbury has been honoring Shore Conference athletes for the past four years. Thanks to the team at Monmouth Building Center for giving us the chance to honor great Shore kids in football, basketball, baseball and softball.